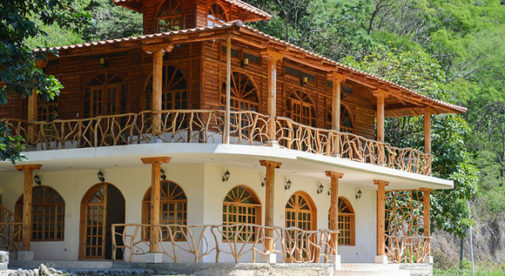 You can travel in style and stay in amazing places (like Vilcabamba, pictured) when you have the secrets of the roving retirees. Traveling the world in retirement was once the sole purview of the rich and famous…but no more. These days, the world is more accessible than ever to everyday people—if you know how. Getting around it is easier and cheaper than it has been for any previous generation. Nowadays, it really is possible to spend a month savoring the culinary and cultural delights of Paris, a few months soaking up the sun on Mexico’s Riviera Maya and a few more exploring the diverse wonders of Southeast Asia. And all for much cheaper than you might expect. 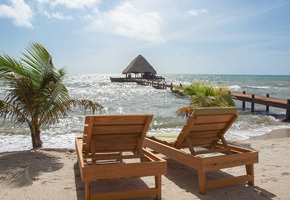 With so much on offer in the world, it’s no wonder that, with each passing year, more North Americans are discovering the joys and pleasures of a traveling retirement. What these roving retirees have discovered is that you can explore the world—traveling as slow or as fast as you like—often for less than the cost of staying at home. You can make it up as you go along, heading to whatever European city or Southeast-Asian foodie hot-spot that the next low-cost ﬂight takes you to. Or start by creating an itinerary to match your bucket lists. Many folks use their roaming adventures as a way to ﬁnd their favorite spot for a full-time overseas retirement. “We decided to make a list of countries we wanted to see, with the thought that we might eventually ﬁnd somewhere we wanted to settle,” says Tricia Lyman, who since 2012 has traveled throughout Latin America with her husband, Mike (both in their 60s). Having visited Ecuador, Costa Rica, Nicaragua, and Peru, the couple is currently in Puerto Vallarta, Mexico. They plan to explore Europe in the near future. Seattle natives Greg Winker and Molly Stacy have traveled throughout Europe and Asia, having put away enough to enjoy an early retirement. And they wouldn’t trade their new nomadic life for anything. And, as many of these intrepid explorers report, traveling the world need not be as difﬁcult or as costly as you would think. In fact, if you plan your epic adventure right, you can save tens of thousands of dollars. Cost-saving and adventure aside, the real beneﬁt of this lifestyle is ﬂexibility. As Tricia Lyman points out, not being tethered to one place has enabled them to see so much of the world. They can come and go as they please, and this ﬂexible lifestyle has made their adventure all the more memorable. Dan and Char Marshall rent their home to fund their roving retirement. So far they’ve been to Cambodia, Ecuador, and Italy (pictured). As Yvonne Bauche explains, every little bit helps. By setting aside just a small portion of your weekly or monthly income, you can soon build a nest egg big enough to get your roving retirement underway. But Yvonne is quick to point out that you don’t always need to accrue massive savings to begin your worldwide journey. Another couple who opted to rent their home to fund their travels is Dan and Char Marshall. Their roving retirement has taken them to such countries as Cambodia, Italy, and Ecuador. Like the Bauches, the Marshalls also opted to save in advance to make their dream journey a reality. Molly Stacy and Greg Winker also went without many luxuries during their earlier lives as accountants in Seattle. But they’re reaping the rewards for it now, retiring at the ages of just 45 and 56, respectively. From Seattle, they’ve gone on to explore the Amazon, and hike the Camino de Santiago in Spain and the Shikoku Pilgrimage in Japan. Since ﬁrst taking off in 2010, Betsy and Warren Talbot’s worldwide adventure has taken them to such far-ﬂung places as Mexico, Spain, Turkey, and even Antarctica. To afford this, they began cutting back on non-essentials and selling unwanted possessions on Craigslist over a two-year period. Betsy says adapting to their new, more frugal lifestyle was surprisingly easy. Adventure needn’t be as expensive as you might think. Bob Patrick was able to live in the Highlands of Ecuador for under $8 a day. “There are many routine expenses at home that you don’t have while traveling, like internet, electricity, and the costs of running a car,” says Dan Marshall. The Bauches recommend traveling in the low or shoulder season wherever possible, as this is when the lowest fares (and deals on accommodation) can be found. In Europe, the low season is generally April to mid-June and September to October. In South America the low season corresponds with the southern hemisphere winter (June to August). By traveling in the off season, Greg Winker and Molly Stacy were able to ﬁnd digs in Paris near the Louvre for just $50 a night and shack up in a castle in Lisbon, Portugal, for just $500 for two weeks. Another option is to avoid the most popular tourist spots, as these tend to entail the highest prices. A great way to think of this is balancing out your destinations cost-wise. For example, by spending six months or more in low-cost places like the highlands of Ecuador, you’ll be able to save enough to enjoy a month’s stay in a more expensive spot, such as Paris. “Cook for yourself or eat local and use local transport whenever possible,” says Yvonne. “For us this is part of the adventure. We love to try new foods and cuisines. The low cost of living in many countries also helps make your adventure cheaper. 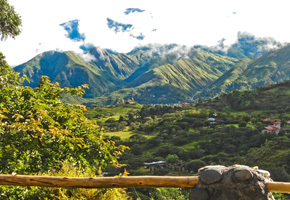 Bob Patrick, who is now in Spain but has spent much of the last two-and-a-half years housesitting in Ecuador, says that shrewd shopping, combined with Ecuador’s already-low costs, enabled him to live comfortably on less than $8 a day. “Since I was not paying for accommodation, I only had to feed myself,” he says. “I cooked most of my own meals, which is one huge advantage of having all the comforts of home available to you. However, that did not stop me from eating out when I wanted to. A typical Ecuadorian lunch is just $2.50 to $3.50, on average. That is for a glass of fresh fruit juice, a bowl of soup, a plate of rice or potatoes, a small salad, some chicken or beef, and a dessert. The Bauches have housesat in a Tuscan farmhouse, a French vineyard, a Spanish casita, and in several ocean-view villas in the Caribbean. As nice as it can be to splash out on the ﬁve-star experience and be pampered in a posh hotel, you can’t travel the world that way without racking up expenses. A far more affordable and hands-on way to see the world is through housesitting—looking for people who want someone to watch their place for a few weeks or months at a time. Housesitting gives you a free base from which to explore your host country. You’ll have ample time to sample the lifestyle on offer and see the sights, as well as ﬁnd and arrange your next housesit to continue your adventure. 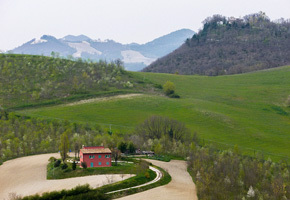 And the Bauches aren’t the only retirees to swear by housesitting as a cheap way to travel. Bob Patrick has journeyed extensively throughout North and South America over the last ﬁve years without paying a dime on places to stay. “I deﬁnitely recommend this as a way to travel the world,” he says. “It is a very affordable way to see incredible places. I stay in some beautiful locations and nice homes, paying only for the cost of my food and maintaining the home. The internet should be your ﬁrst point of call for ﬁnding housesits abroad. Websites such as Trustedhousesitters and Mindmyhouse are great places to start. By signing up to sites like these, you can look through housesitting options around the globe and contact the homeowner directly. Once you get one housesit, more will follow. The more referrals you get from past housesits, the easier it will be to get more of them down the line. If you don’t want to housesit, there are other options available to you. Throughout their travels, the Lymans have used sites such as Airbnb, which puts you in touch with people around the world who are renting rooms, apartments, or houses. CouchSurﬁng.com, which helps you stay with locals in locations across the globe, and HomeAway.com, for cheap vacation rentals, are also great ways to ﬁnd affordable places to stay during your travels. “We found affordable places within our budget, and we never felt frightened or uncomfortable anywhere we stayed,” says Mike. Another possibility is renting an apartment for two to four weeks, as the Marshalls do. “This is much less expensive than hotels, and gives you the option to cook your own food,” Dan says. Like housesitting, renting an apartment affords you your own base from which to explore the area. It lets you experience life more like a local…and saves you money long-term. Rentals, however, vary from region to region. In Southeast Asia, furnished short-term rentals are easy to come by. This is not the case, however, in cities such as Paris and Panama City, due to legal restrictions. Here, housesitting and casual rentals like Airbnb are better alternatives.